The profile picture is the modern day Universal Passport. A Singaporean passport, for example, will get you into 132 countries in the world – visa-free! A passport from Afghanistan, on the other hand, will only get you into 5. Whether it’s Tinder, LinkedIn, or Facebook … your profile pic matters. A lot. Science has shown that people will judge you based on your profile pic in 0.4 seconds. Maybe … but the Journal of Current Psychology has presented evidence that this first impression is only likely to change by a maximum of 10%. Stunning, isn’t it? What’s even more stunning is that very few of us put much effort into our profile pics at all. And those of us who do generally judge our photos ourselves or “ask for opinions from friends” … and science has also shown that neither of these approaches is likely to improve the actual effectiveness of your photo. 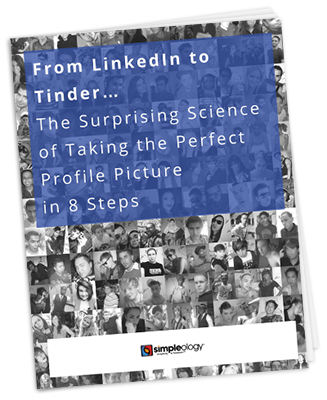 This handy little FREE report will show you 8 steps, based on well confirmed science, for radically multiplying the success of your profile photo: even if you are physically unattractive!